Happy Thanksgiving! Mel here from Doxie Mel Designs with a project to share with you. Since many of us are cooking and baking for our families today.. I thought the sweet Gingerbread Man could led a hand. Doesn't he look cute with his chef's hat and wooden spoon? Yellow glitter glue is on his buttons to match his retro oven. The "pot holder" is one of the tags from the Mini Tag Dies. 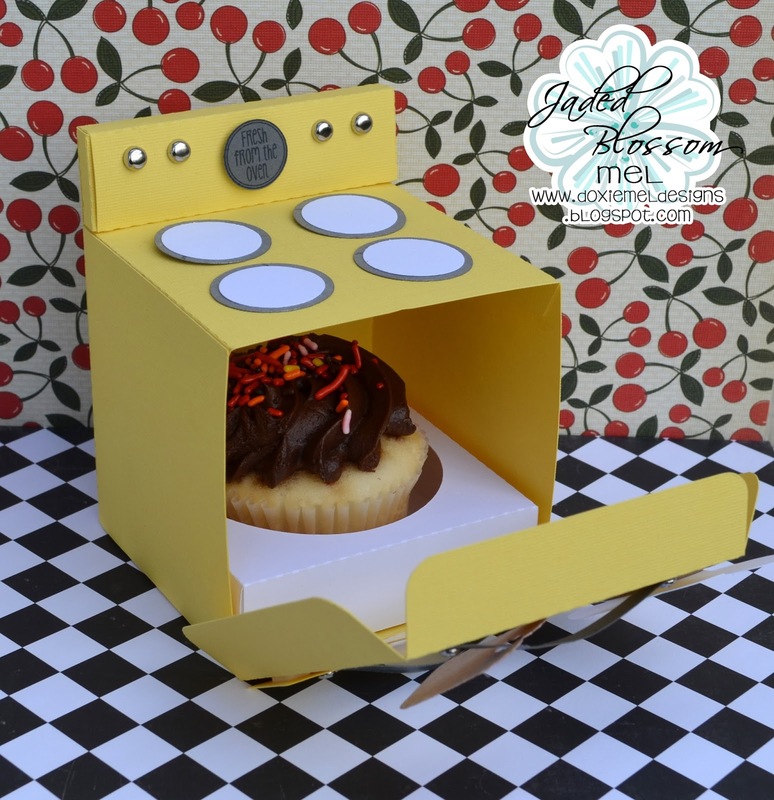 The Oven opens up to the delicious cupcake! Enable Alert! 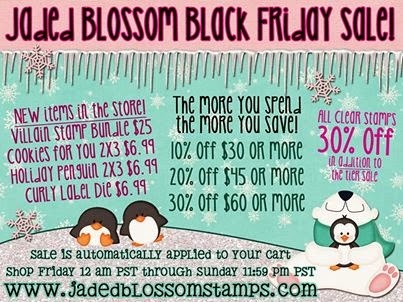 Jaded Blossom is having a Black Friday Sale! Sale starts Friday, November 29, 12 AM PST. Run, Run, as Fast as You Can! Well, you don't have to run.. you can shop online at Jaded Blossom. So fun!! 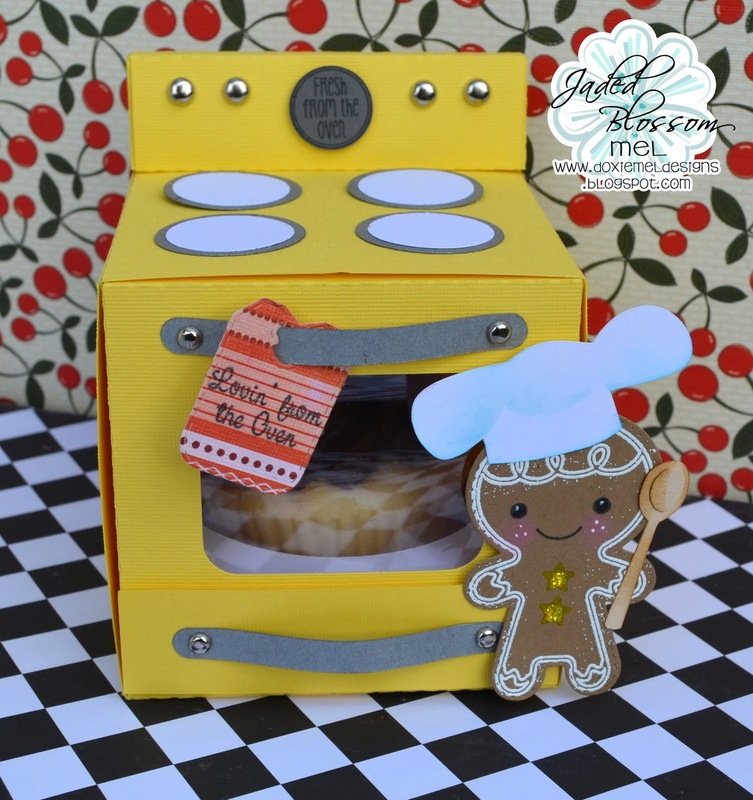 Love that oven and your little gingerbread man! That little "pot holder" is perfect!